Issues between the Kings Highway business district and the buses that travel through it have been boiling over for nearly 2 decades. The road was never designed for through traffic. The city attempted to demap it in the plans of the 1920's and in fact, BRT tolley maps from 1906 specifically leave Kings Highway off there transit maps, not anticipating that it would remain in the grid. It was only because of budget cuts that buses were routed through it. The MTA has quietly been pushing for a south Brooklyn route for SBS Bus service. SBS service is an MTA bus program that allows for articulated, double length, buses with off bus ticketing for easier loading. It also involves the use of bus only transit lanes in the street, increased video camera surveillance, acquiring large segments of sidewalk for ticketing machines, and handing control of traffic lights to manual over rides to the MTA to facilitate buses. The benefits is that bus riders get exclusive roadway access. Every local politician, and every community group along Kings Highways business center has objected to the SBS project to be run through Kings Highway between McDonald Avenue and Ocean Avenue. Despite this universal opposition, the MTA has refused to budge and is planning on beginning implementation in June. The last I heard from Councilman's Deutch's office is that the project is being postponed, but not indefinitely. Lets take an evenhanded look at the SBS proposal and access exactly how it will affect the community. Kings Highway is a colonial route that was a key part of the town of Nieuw Amersfoordt which was initially centered on the Dutch Reform Church on Kings Highway, near Flatbush Turnpike, and Hubbards Lane. Initially it had a complex grid built around farms and spacious lots which remained this way almost until the 1920's. For this reason this area of Brooklyn is surrounded by many of the oldest existing homes in the City, some well know, and some of lesser recognition. The subway was never extended to Nieuw Amersfoordt and this was one of the last areas where the modern grid plan was laid out. It wasn't until the invention and popularization of the automobile that the area came under any kind of serious development pressure. The history of old township of Flatlands is unique in Kings County. Its urban development comes late because of the lack of Mass Transit the to the area until the 1930's. Resulting from this, Flatlands, known to the Dutch as Nieuw Amersfoordt, is unusually rich in local history, containing a greater bulk of early Dutch residences and farm houses dating before 1820. Nieuw Amersfoordt's diverse geography was particularly appealing to early Dutch residents of the area. It's saltwater marshes were familiar landscape to these early settlers, where they grew rich salt marsh hay for cattle, and its fertile plains grew a number of native and imported plants including Tobacco. It's likely that Sagabon (hence the name Sag Harbor), Apios Tuberosa, a native tuber, was grown in these areas before the introduction of the potato. The English generically called all tubers pen (pin, pon or bun), and it is possible that tubers from Lilies also were a source of harvestable food. The large oyster and clam beds were a great natural resource for the early Dutch and made a large part of their diet. The Dutch brought their experience at building Dikes to the New World. This technology, when brought to bear to the marshes of Jamaica Bay enlarged fertile areas to grow crops, particularly around Barren Island, known as 'T Beeren Eylandt, which was a sizable tobacco plantation. Much of the earliest European history of Nieuw Amersfoordt is oral, only indirectly confirmed by official records. It's likely that the town was settled as early as 1623 by French Walloons who escaped puritan oppression in Dutch held lands. Official history begins in the summer of 1636, when Andreas Hudde (which the Junior High School on Nostrand Ave. and Ave. K is named after, and which was visited by President Clinton in 1998) Wolfert Gerretsen ( Van Kouwenhoven), as in the community called Gerretsen Beach, and Wouter Van Twiller, then Governor, bought over 15,000 acres of land for farming. The little settlement that grew up around them became Nieuw Amersfoordt. This town eventually centered near today's junction of Kings Highway and Flatbush Ave., known as the Amsfort Town Center. In 1664, the town was officially given a charter as the town of Flatlands. The Flatlands Dutch Reform Church was built at this location, where it is still located. In 1794, the town had only 48 families, 423 people, one third of whom were black slaves. Slavery in Flatlands lasted longer than most of the rest of New York because of the number of farms in the area. In fact, during the battle of Brooklyn, English soldiers had trouble getting information from the Dutch because the slaves they most often ran into spoke only Dutch. All the original roads that made Flatlands Center are now gone, and to a large degree, the landscape has been entirely altered. 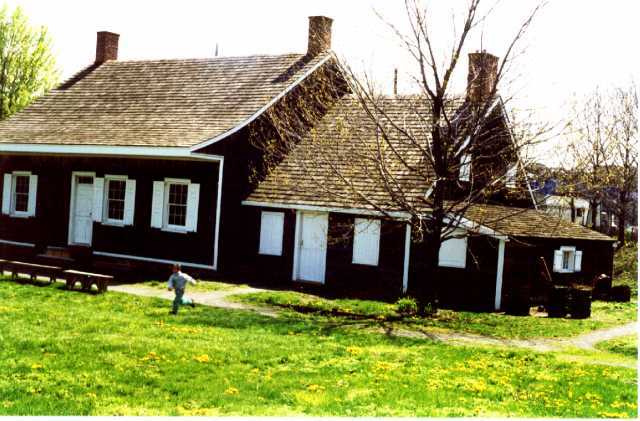 As an example of the severity of the change in landscape, the Wykoff House, originally build in 1652 on a hill that over looked most of the possessions of the family, now stands firmly in a depression. That is, all of them are gone except for on, Hubbard Lane, a shortcut between Flatbush Ave. to Flatlands Neck Road. Half of that country lane miraculously survives as Hubbard Place. To walk its path, one finds himself sliding into history, feeling the presence of the Reform Church in the background, it is only about 25 feet wide, and certain parts of it have no sidewalk. The lane itself, located just south of Ave. K and Kings Highway, was named for Revolutionary War patriot, Elias Hubbard. Their family was evidently influential in Flatlands even into this century as they donated the Amersfoordt Park on Avenue J and 38th Street. It was rebuilt with the help of the Dutch Government and was a generous donation to an area short on park land or play grounds. Hubbard had 75. In addition to Hubbard, other families on the lane included Ulpianus Van Sinderen, Folkert Sprong, Aaron Van Pelt, Reverend Ulpianus Van Sinderen, who lives on the south side of the park. The Reverend served in a rotation, preaching in most of Kings County until he retired and his house survived until the 1920's. Van Pelt was the town Constable in 1783, and was a fisherman. Van Pelt is also important because his house survived to this day. There is no sidewalk in front of the home, and is the only house to survive this time period on the lane. Built in 1790, it currently sits vacant, with a legal notice of eviction on it (April 1998). It's future status is a question. What makes Hubbard Lane and Flatlands unique is that it was largely self-sufficient until the early 1800's. By 1840, the population grew to about 800. The rate of growth when compared to the county being very slow. Life centered around the farm with little outside influence, though these residents had the advantage of being in contact with Brooklyn and New York. Baxter, for example, describes going to Brooklyn to see the interment of the Bones of those who died on the British Prison Ships during the revolution. In 1827, New York State declared emancipation of all slaves. In 1820, Flatlands had 107 slaves out of 512 residents. Through the 1830's and 1840's, black laborers were still common in Flatlands, though most slaves left to pursue agricultural work with other farms, or different means of support. In the Dutch system of slavery, blacks were allowed to buy their freedom and were often paid. The details of the treatment of Black slaves will hopefully come to light with the coming excavation of the old slave quarters at the Lott House. But one can assume that many of the freed slaves went on to urban areas like Brooklyn, where the local papers complained in the mid 1820's that "The Outcasts and indigent sons of Africa" would sell oysters and clams, and then spend the proceeds on liquor on Sundays and get drunk. Brooklyn had more free Blacks than slaves. In 1820 it had 657 Free Negroes and 190 slaves. As late as 1872, the Flatlands Town directory showed of 87 people listed, 49 were farmers and six were employed on the waterfront in the fishing industry. By this time, Flatlands also had a number of blacksmiths, wheelwrights and storekeepers, as was needed as the farms lost there slaves. These businesses existed around the town center nearby Hubbard lane. The country store owned by JB Henndickson & Son survived until Kings High Way was completely redrawn and widened. In 1848, a new church was built, the current structure and in 1850, a Methodist Congregation began. New houses built in the late 1800's started to eat away at the farms on Hubbard Lane. Today, there is one surviving specimen, the Williamson House, with an interesting border along an alleyway which was likely originally part of Flatlands Turnpike. In 1869, A commission was formed to draw new road maps for all of the five towns of Kings County. Hubbard Lane, in theory was to be removed from the map. But the importance of the Town Center until the post war period, and the reluctance of the Dutch to sell their land, kept half of hubbard lane on the map. Flatbush Ave. was entirely straightened and redrawn. Amsfordt Place near Brooklyn College is one of its last remaining legs. And over decades, the new road finally took shape and wiped out most of the contour of the towns center. Flatlands Neck Road all but disappeared except for a very small segment now Overbaugh Place. It disappeared under the new Kings Highway. Between 1922 and 1925, the town center all but disappeared, replaced by the Junction at Nostrand and Flatbush, and the Kings Highway business district on the Brighton Line and Kings Highway. It is important to note that the street that we are fighting over currently in terms of the SBS Bus proposal was originally going to be demapped. The road itself probably existed in precolonial times. It largely marks the geological division or shore line between the marshlands south of Kings Highway and the lands that are above the water table north of the road. The Dutch loved marshlands, and the process of landfilling began almost as soon as they arrived. The oldest house in North America, the Wyckoff residence, was said to be on a hill that could oversee all his land, which extended into Jamacia Bay. Today that home is in a depression, about 8 feet below the current street level. Wykoff himself is buried in the the Dutch Reform Church off of Kings Highway and Hubbards Street (Lane), near Flatbush Avenue. Removing Kings Highway from the grid would pose formable problems, not the least of which was that by July 2nd, 1878 there was a Brighton Line railroad station already anchored on the Highway as the southern point in area known as South Greenfield, which had its own peculiar street grid that was demapped. The railroad station was the growing center of a small village. It is this village format which is the cause of so much of the discordance and disquietude about the proposed blockage of normal traffic on the street. With the decision to widen Kings Highway in the 1922, and to reroute Flatlands Avenue and Flatbush Avenue, it was still apparent that the area of the lower loop of Kings Highway, from Stillwell Avenue until Ocean Avenue, would not be wide enough for the planned traffic loads that southern Brooklyn would be facing. And yet, it was still going to be the center of local commerce and the Kings Highway Brighton line station in particular was going to end up feeding several nearby communities onto the Bright Line which today is the B and Q train. In time, the Kings Highway stop overlapped the Avenue M station in importance and became the express station. The designers of the grid, faced with this problem, decided to shunt through traffic around the town center at what would be East 16th Street and Kings Highway by making Avenue P and the connection 65th Avenue very wide and easy to navigate. As the post-war GI Bill building boom developed all through out old town of New Amsfort. Housing and bedroom communities took root in today's communities of Midwood, Madison, Mill Basin, Geritson Beach, Flatlands, Georgetown, and Bergen Beech. In response to these new communities various private bus routes sprang up. In particular there was the Pioneer Bus. In 1960 they began running buses up Filmore Avenue between Mill Basin and the Brighton Line at Kings Highway. This supplemented the B41 bus access to the IRT ant the Junction. The people of Mill Basin were happy with this and really didn't want to be in a single fare zone in the background of the rising tide of citywide violence. There was also private express bus service to She Stadium from the Junction. By 1979 it was taken over by the Command Bus Company. Similar runs to Aqueduct and Belmont Race Tracks were available, as well as express Manhattan runs from Canarsie, Mill Basin, etc. Here is a short list of the services that existed. The entire system was taken over by the MTA in 2005. In addition to this, NYC Transit had extended several bus lines to service these new communities. Before unification the BMT ran street cars and buses on most of the existing routes, extending the B41, B46, B17, B7, and other spurs into the under developed southern marshlands of Brooklyn. As late as 1950, the B6 terminated at Utica Avenue and Kings Highway and the geography of south Brooklyn was still flexible. The B7 still ran through Kings Highway but there was no B82. In 1978 the MTA routed the B50 which connected Canarsie to Kings Highway for the first time. The B50 was originally designed to connect Starret City with the the Rockaway Parkway L train complex. As an after thought it was connected to the Brighton Line. And it would have remained part of the spoke and wheel transit design, along with the B31, B100, and the B2 to give areas without subway access two fare connections to the Subway for the commuters living in the vast working class communities from Canarsie to Midwood. Today's cross Borough configurations was a concession to budget cuts in the MTA budget in 1995. It was never designed to transport through the community and it has not been easy for the Kings Highway business district which was never mapped for so much through traffic. The problem with the Kings Highway business district and the buses has been boiling over for nearly 2 decades. The road was never designed for through traffic. The city attempted to demap it in the plans of the 1920's and in fact, BRT tolley maps from 1906 specifically leave Kings Highway off there transit maps, not anticipating that it would remain in the grid. The Brighton Line itself cuts off most of the cross town routes for trucks, and 18 wheeler trailers regularly smack the top of their trailers with the subway overpass, and occasionally get stuck at the Kings Highway train station. Despite this problem, Kings Highway is listed on the city maps as a local truck route which causes considerable chaos. Entering the fray, now an activist Mayor and an MTA which feels empowered to disregard local opposition and push an agenda that keeps many MTA bureaucrats and planners well employed. What can possibly go wrong? For one thing, the MTA represents a single constituency, and does not represent the broad constituency which uses the district. The constituencies that have interest in the Kings Highway through way include at minimum the following vital constituencies. Local Residents - They are number one and make up by far the largest number of users of Kings Highway. The local residents depend on their cars to to the kind of errands that a typical family has to make, especially o a family with children and multi-generational households. Nearly all the housing in the area around the Kings Highway business district include garages, driveways and parking. The Trucking and Transport industry - This includes all the trucks that are lead through the district by city maps, commercial GPS's and have to use Kings Highway for local routes as a matter of law. Included in this is USP, the US Mail Service, and Fedex, all of which have to go through the area from JFK and the terminals on Avenue D and in East New York in order to supply and deliver the whole of south west Brooklyn. The Cab and Limousine Businesses -Kings Highway is a huge transport hub for multiple communities. There are no less than 4 local taxi services and 2 taxi pickup lanes. Subway Commuters - This overlaps with local residents, but also includes the residents of the feeder communities from Bergen Beach to the Bensonhust boarder. All these commuters need feed into the train station through the 5 bus lines and "kiss and bye" drop offs points around the train station. People need to drive into and out of the immediate area for pickups and drop offs of children, parents, lost relatives, or whoever might need to not drag themselves and their packages onto a bus from the train. Retail Business - Retail businesses have been very vocal about the loss of street parking. And they are right to be angry. South Brooklyn and the area around the Kings Highway district is dependent on automobiles. These communities are not like downtown Brooklyn, or even Flatbush. They are spread out and most families have multiple cars. No business in the area invests without considering the parking problem. They must have adequate parking and parking has been taken away from the neighborhood for 20 years. First the Parking lot around the Fire House, which was heavily used, was eliminated with the building to the super structure on East 15th Street that now has TJ Max. The private garage that was substituted was then removed, and the price of parking in the garage at TJ Max increased and the lot closes early. The surrounding communities are at the bursting point when it comes to parking. UPS will no longer deliver properly in the community. They quickly come through and drop off pick up notices to pick up at the JFK terminal. From Avenue O, to Avenue R, double parking is all along the side streets, radiating outward from Kings Highway. But parking isn't even the local retailers biggest trouble. Truck delivery and the tandem buses is. Thousands of pounds of fresh produce, fish, dairy and meat is sold daily on Kings Highways shops. These products need morning delivery and it takes time to load and unload produce, meats, etc. By cutting out the parking lanes at this time, you are telling trucks that they have to block the entire roadway in order to make delivery. This is going to come as an enormous emotion cost to residents, but worst is that the trucks will deliver no matter what. The tickets that they receive will simply be passed along to the retailers who will then try to pass it along to the consumer. Customers will be forced to shop elsewhere for competitively priced products...and THAT is what will put the small businesses out of business. Pedestrians - Removing the parking lane endangers pedestrians. Kings Highway is very narrow and pedestrians cross it at will, like any small town. When you remove the parking column, they have no protection when they step into the street, especially the elderly, even when they cross at the corners. The area around 12th street is particularly pedestrian with people hanging out on benches or by their cars on the Quentin Road triangle. Currently traffic goes very slow. The buses will go much faster than current traffic. It is a huge error to put articulated buses at 25 MPH (and likely more) running down the bus lanes with pedestrians coming and going. There is no way any double tandem bus will be able to stop. This is an unnecessary risk that will lead to tragedy. Additionally, the Tandem Buses are very long. This will create a huge inconvenience for pedestrians trying to cross with a train of tandem buses blocking walkers. This is even more the cse right in front of the station entrance where people are constantly running across the street, back and forth. Tandem buses create a trap. Schools, Yeshivot and School Buses - The area in question is surrounded by educational institutions. School buses need to make pickups and drop offs in the morning along Kings Highway and must have curb access. Touro College, and B'nos Yisorael Girls School are directly in the business district as are a number of trad schools and the Kaplan preperation center. Propsect Park Yeshiva and Bais Yockov Academy, St Benards Catholic School and the Mirrer Yeshiva are less than a block away. All these schools need curb access in order to function and need to cross Kings Highway. One of the more grievous parts of this proposal is the closing of East 12th Street. This will completely lock up access to Kings Highway as the other side streets have been stopped from crossing the road. This will shove all the traffic, especially school buses, either directly onto the Kings Highway road way and up Coney Island Avenue. Bus Riders traveling from Canarsie to Coney Island - The trip from Canarsie to Coney Island is difficult by mass transit. If one goes by subway, they take the bus of walk to the Rockaway Parkway L train station. They ride to Broadway Junction and switch for the C train on the Fulton Line. 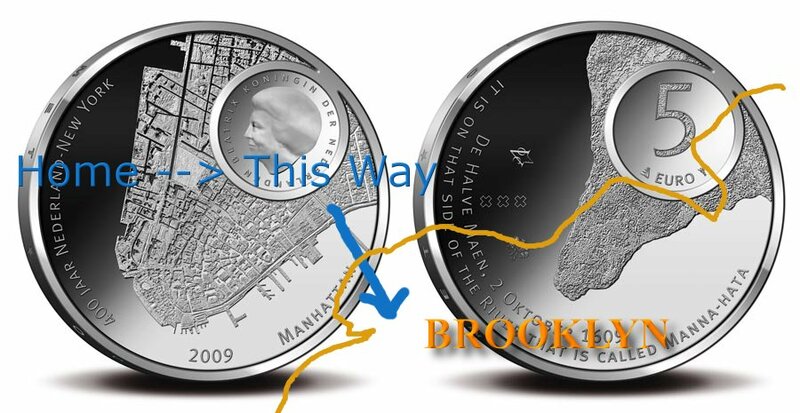 They transfer to the Franklin Avenue Shuttle to the Brighton Line and take the Q or the B Train to Coney Island. Alternately, they can take the L train to 14th Street and Union Square in Manhattan and return back on the Q train. Today there is the new route using a transfer to the IRT at Liviona Avenue to Atlantic Avenue to the Brighton Line. If leaving from East 107th Street and Flatlands Avenue, all these way is over an hour and twenty minutes. (according to google maps and by experience). The fastest means, shaving about 15 minutes from the trip, is to take the B82 to Kings Highway and the Q to Coney Island, which reinforces the importance of the leg of the B82 to Coney Island. One can take the B82 straight through to Coney Island, but that one of the longest routes, and is the chief reason for wanting to streamline the route with the SBS. It maintains a single seat ride through south Brooklyn and in theory, reduces the time to make a trip. Overall, this is a fairly complete look at all the stakeholders involved with the implementation for a SBS B82 bus route with articulated buses through the Kings Highway business district, aside from the interests of the MTA itself, and the manufacturers of articulated buses and so on. Reviewing the motivations of the MTA in this matter and its self interest is a long and complex discussion, one worthy of serious study, maybe even necessary and vital, but beyond the scope of this evaluation. But we will touch on the subject as necessary. More directly related to this issue is an evaluation of the data and promotion of this project that the MTA presents. In that regard we are left to evaluate several of the powerpoint presentations and PDF files that the MTA has left behind, and we will try to dig through some of the source material, in order to understand what the MTA is presenting to the public, and how they have manipulated data to misrepresent the facts to the public. Then hopefully we can clarify the meaning of their data, and determine its real meaning to the public, and look at the real costs and benefits of this route. One of the MTA's most insistent arguments for the SBS B82 is that it will benefit the most people to have this form of bus and bus lane in the route route they proposed. The claim is that nearly 30,000 riders take this route daily and it implies, but never shows us, that this is a significant, in fact majority interest in the affects of such a route. It then evaluates the business districts current user population, and draws a conclusion that automobile drives are a vast minority of the use cases and should not be given, what it considers, preferential treatment to the limited resources of the streets withing the district. It is difficult to examine this source data without concluding that the MTA is purposely misrepresenting the situation and the data. For starters, the breakdown of constituencies is based of false assumptions. Already has been presented in detail the 8 (at minimum) major constituencies and stake holders in street access to the Kings Highway Business District and it can not be broken down into the 3 segments that they listed which are pedestrians, drivers and transit users. In evaluating the ridership totals for the current B82, the latest figures from the MTA are located on their website at http://web.mta.info/nyct/facts/ridership/ridership_bus.htm and archived on the Brooklyn-Living website at http://www.brooklyn-living.com/busridership_2017.html and in PDF format. According to this report, the MTA's B82 carried 27,959 passengers in 2016, which is fairly steady over the last few years with a slight 0.1% uptick over the last year. For comparison, the B6, which is a sister route in Canarsie that runs along Flatlands Avenue has 41,320 riders on it and is the largest route in Brooklyn and it gained about 0.4% points. The B44, which is the Nostrand Avenue bus and which currently has a SBS with a designated bus lane has 37,418 passengers which is up 1.1% from last year. As an interesting side note, the B44 has lost ridership since the implementation of the SBS on the B44 since 2010 until 2016. 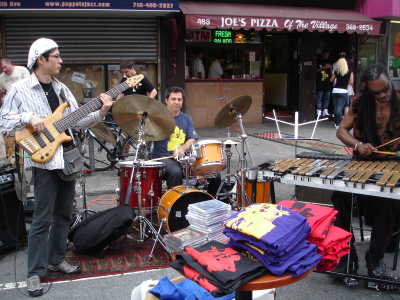 The Nostrand Avenue SBS was started in 2013. Bus ridership includes all passengers who board buses using a valid MetroCard, cash, transfer, Select Bus Service ticket, or pass. Ridership does not include employees, non-revenue passengers (e.g., children under 44" tall traveling with an adult), and B42 riders boarding inside the paid zone of the Rockaway Parkway L subway subway station. Additionally, these average numbers for weekdays are manipulated because of reasonable occurrences that distort the averages such as Hurricanes which shut down weekday service, etc. Accorinding to the MTA, the 27,959 average weekday riders is expanded to 32,000 daily passengers according to their own propaganda which was created in 2015 to justify the project. Figures are listed as 10,000 on the limited and 22,000 riders on the unlimited. One can see these numbers on the presentation on the MTA website at http://www.nyc.gov/html/brt/downloads/pdf/2015-10-14-brt-southbrooklyn-bkbsc.pdf, and again archived on Brooklyn-living at http://www.brooklyn-living.com/docs/bus_b82_sbs_powerpoint.pdf . There is no geological breakdown of where passengers get on or get off the route. It would seem though, that since the Canarsie routes of the B6 with 41,320 weekday riders, and the B82 with 27,959 riders make together two of the heaviest bus routes within Brooklyn and all converge on the Rockaway Parkway station along with the B17 and the B60, that it is likely that the Canarsie branch of the B82 make up the bulk of its ridership. This would reflect in the 22,000 passengers that use the local instead of the 10,000 passengers that opt for the limited despite the fact that the limited has more buses during rush hour scheduling, 25 as opposed to only 19 buses between 5:15Am and 8:15AM westbound for example, and similar posted figures for west bound traffic. The B82 Limited makes only a few stops in Canarsie: at Rockaway Parkway and the sister stop on East 98th and Flatlands Avenue, and the Remsen Avenue stop, and the Ralf Avenue stop over 20 or more blocks, the whole of Canarsie. Additionally, it should be noted that passengers coming from Starret City and east of the train station are forced onto the express and there is no local through traffic at rush hour when the limited is running. One might expect, therefore, to see a more balanced ridership between he express and and the local, but local Canarsie riders coming from the L train need local stops along Flatlands Avenue and this reflects in the nearly 2:1 ridership of the local over the express, average on weekdays. How many people are actually going through, or even to the Kings Highway train station on the Brighton Line is anyone's guess. And how accurate the MTA data itself is, is also very questionable. Informally, I observed from January to April 2018 between 9:00PM - 10:00PM 6 to 14 B6 Buses for every B82, and all the B6 buses seemed to be packed, and the B82, not so much. That would seem to make the passenger breakdown of 41k to 28k in 2016 very questionable. Also, during this time it would seem that at 9:00AM - 9:30AM in the morning that same time period the limited B82s out numbered and are bunched together at 6 limited to 1 local B82. That would seem to beg the question as to the accuracy of the published schedule. If we look at the Subway ridership for the Kings Highway station, we can produce a clearer image about the total traffic flow about Kings Highway. The B2, the B31 and the B100 feed directly into the train station from its East 16th Street and Quentin Road entrance. The B31 has 2,753 riders a day according to the MTA. The B2 has 2,464 riders per day, and the B100 (which for some reason is listed in a different table of the MTA's at http://web.mta.info/nyct/facts/ridership/ridership_busMTA.htm ) has 5387 riders. In total the three feeder lines have 10,604 weekday rides. That comes out to be about 5,000 passengers feeding into the subway daily from these three routes, a number which might be a bit generous but a good thumbnail estimate of number if individuals coming to the business district to take the subway from Mil Basin, Marine Park and Gerritsen Beach by bus. That is almost the total amount that the Limited B82 carries, the bus that the SBS would replace, from Canarsie to Coney Island all day. This means that a passenger who rides from Kings Plaza to Macy's on 34th Street in Manhattan by taking the B2 to the B train and back is counted twice on the bus and once at the trains station. The Kings Highway station on the Brighton line is measured by the MTA to have had an average weekday ridership of 20,094 which ranks 69th in the city (according to the MTA). Of those riders we know about 5000 people are coming from the old 2 fare zone feeder buses, and that leaves about 15,000 passengers entering the system from either the immediate community, or the B82 and B7 buses. The B7 carries no more that 6000 passenger per average weekday and would contribute at most about a maximum of 3000 passengers a day to the rail, and that is a very generous number, and the B82 Limited no more than 5000 passengers, and again that is very generous. That is 13,000 passengers at very very most feeding into the Q/B train, and that assumes no one on the B7 or the B82 limited get off anywhere other than the station. That would mean that 7,000 passengers on the Q/B train come from the immediate neighborhood by foot or car. Not surprisingly, even if being ridiculously generous with the MTA provided numbers, the largest number of users of the B/Q station, which sits in the middle of the Kings Highway business district, are local people who walk there, take a car or use the local B82, most likely from near by and which would not be serviced by the SBS service. This is just a very rough view of feeder traffic into the train station and doesn't include those who go to Kings Highway for local business. It assumes that most of the local B82 traffic is local to Canarsie. It assumes that everyone who takes a feeder bus goes to the Train Station. And in terms of the SBS proposal, it does not take into account the number of passengers who would convert from local to express service if it was available 24/7. 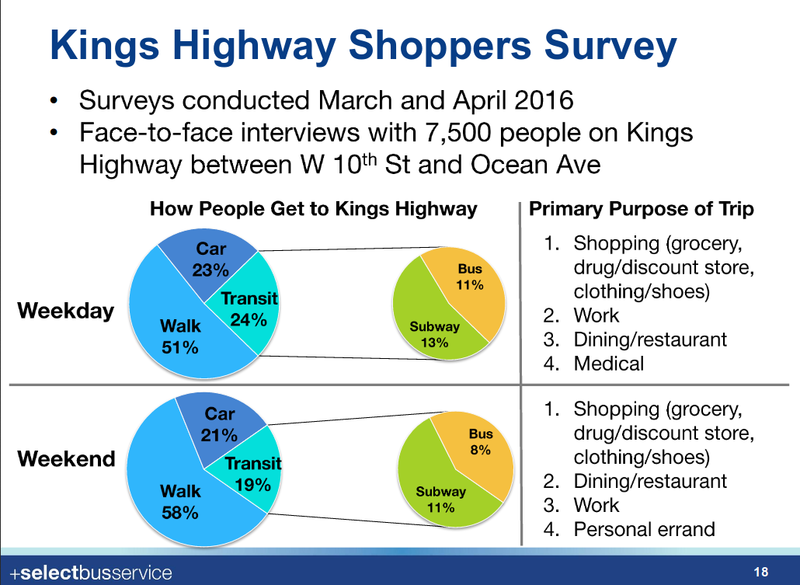 But nothing in this data allows us to draw a conclusion that the majority of people who use the Kings Highway business district would benefit from the SBS. Those riders are one of eight constituency stakeholders and at most about 5000 users of the districts transportation network, out of over 20,000 mass transit users in the district. In order to understand what is happening within the businesses district requires a professional survey. To my knowledge, one doesn't exist. But that didn't stop the MTA from producing a survey of their own, which we can only hope is not an example of how they make decisions and gauge information. According to their Community Board 15 presentation, they surveyed 7500 people between W10th and Ocean Avenue. This would be the kind of survey you would do if you don't want any answers about the affects of your proposed service on any of the 3 business districts along Kings Highway which it affects. People who live near W10 Street are in a completely different community and have a completely different retail and transportation situation than those near Ocean Avenue. This wide geographic spread tells you nothing about the habits and the population within the Kings Highway district centered on the Brighton Line, which is a bustling city center with box stores, supermarkets, fruit markets and new stands. Nor does it tell you anything specifically about the area leading to McDonald Avenue, which is very narrow and with a variety of small sized retail stores which are more ethnically focued. This includes a number if Kosher restaurants, and clothing store on bothg sides of Ocean Parkway which cater to the Sephardi community around Avenue R. Nor could it accurately reflect depict the business community opposite McDonald Avenue which is far more transient, a area with broader streets and a heavy Hispanic mixture. Nor does it reflect the increasingly Italian community as it moves past McDonald Avenue or the heavy commercial district that is about McDonald Avenue. Nor can it adequately describe to smaller community about the N train on Kings Highway and W7th street. All of these business districts are distinct and with different patterns. The fact that the MTA lumps them all together is in of itself condemning of their attitude towards the different communities that straddle the roadway they covert so badly. Even with such a flawed survey, their own data saws that a whopping 74% of the weekday traffic arrives to anywhere along the Kings Highway loop, is specifically the local residents. It is the local residents who arrive either by walking (you don't walk to W10th from Canarsie), or drive. Drivers are always most likely local residents running errands with their families, than they would be visitors from other areas looking for a deal on fresh Piazza or long cut skirts such as those valued by the Orthodox Jews of the area. The remainder of the population that arrives by mass transit makes up a minority of users of the district. They are 24% of people on the street. Only a minority of that minority come by bus, which would be 11%. And only a small slice of that 11% would make up the population that would arrive by the SBS B82, or the current B82 limited service which would be replaced by the SBS. How many individuals would actually be serviced by the B82 limited from these business districts, it would be impossible from this data to say. Dozens of bus lines service the whole area between W10th and Ocean Avenue. What part of 11% would be B82 riders? We don't know. Whatever is it, however, it represents a small minority of the population compared to the 89% of the surveyed areas users of the district who come by means other than the bus. To make this even more crazy, it seems that the same chart was quoted to presentations in Community Board 11 and Community Board 15. In Community Board 15 it says 7500 people were questioned, and for community board 11 it says only 2500 people were question. The MTA can’t seem to get its figures straight and shows a disregard for the communities they are presenting to. The MTA intentionally misleads the public by lumping together two constituencies that have nothing to do with each other: local pedestrians with visiting residents from other communities that arrive by mass transit. The attempts to use the data to mislead the public continues with the discussion of delivery trucks. First or all, they take a survey of businesses about how they get deliveries. In the presentation to CB 15 they claim to have spoken to some unspecified number of businesses. 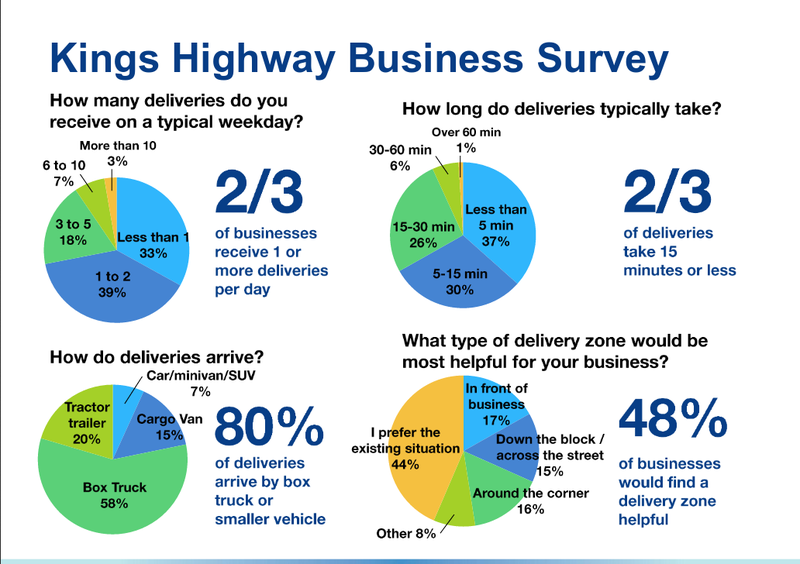 Among those businesses, 48% would find a delivery zone useful But when you read the pie charts, you find out just the opposite. 44% don't want any change, and 17% would take a loading zone only if it was right in front of their business. Another 8 percent has some other ideas that were not classifiable (perhaps they didn't understand the question). Only 31 percent in theory would accept a loading zone other than right in front of there store...in theory. In the real world though, the MTA is asking the wrong people this question. The people really affected are the truck drivers and not a single driver making delivery was asked if they wanted a loading zone. It is a mystery how a loading zone would work around the Brighton Line, where the bus lane is to be run against the sidewalk where the parking lane now exists. Getting accordion articulated buses around delivery trucks, often double parked delivery trucks, is a key problem that has no solution at all. These trucks will deliver when they need too, MTA permission or not. And frankly the community needs them. The Kings Highway Business district has a thicker concentration of stores than anything encountered on the other SBS routes. And in addition, it is to be remembered that the route is an integral part of the official NYC truck route, which directs a lot of big rigs though the business center, competing for road space. In the real world it is hard to imagine any plan that involves longer, less mobile buses, creating conditions for shorter travel times. Those buses will not fit on these street unless they are shut down to traffic altogether, similar to the Fulton Mall downtown. At 7:30 AM on April 23rd, 2018, we went out and did a real survey of the competing constituencies for space on the Kings Highway segment that boarder the Bright Line Subway, from Coney Island Avenue to Ocean Avenue. Below are the images of that survey and one of the things that becomes most evident is that at the time the MTA proposes rolling out accordian buses down a designated bus lane that will occupy current curbside parking, that parking itself is not even the worst of the negative affect that the MTA plan will have. All these photographs in this section was photographed within a half hour. The first thing that we will see is that a large number of trucks, from vans to trailers are making ugently needed morning deliveries that cover everything from Milk and Donuts to life saving drugs. Starting on East 19th we have double parked trucks making milk deliveries. Following westward down the street we see two trucks parked between E18th and E17th street, loading the Rite-Aid accross the Street, with a third truck, a milk truck, rolling down the street to its morning destination. These trucks are parked where the proposed bus lane will be. Here we have a fruit delivery truck on the 17th Street spur. Fruit stands are some of the heaviest users of street space, often getting multiple deliveries a day with a very complex method unloading because of the bulk and fragile nature of fruit and vegitables. Following still westward, we get deliveries to a contstruction site. It was mentioned that Utilities are a constituency for space, but not to be forgotten is that a great deal of construction is happening on and around Kings Highway, and it appears that this will continue for another decade at least and the lifespan of many of the building sup and down the road has been reached, and repair or rebuilding, often on a grand scale, is happening or is planned. Construction crews can take aways lanes for months, and have permits to do so. Continuing West to East 16th Street and the train station, we find a full size 18 wheeler parked and resting on the corner, with blinkers flashing, blocking the view of other trucks and cars approaching Kings Highway, just before the overpass. Opposite this positon is feeder bused that connect to the large second entrance to the train station. I asked this guy why he was parked there and he said he was waiting for an opening to deliver to a supermarket down the Street. He was just another working guy, putting food on his table whose job will be mangled by the SBS accordian buses and through lane. On this same street we have a drug delivery. I am familiar with the boxes and drivers. They don't say they are drug wholeslaers because it would make them a target. In order to keep up with the hustling of this hard working community several of the pharmacies open early.